Read on for a comprehensive sales associate job description. If you’re looking for a job that’s challenging, rewarding and allows you to work with others, then you may want to consider a position as a sales associate. Sales associates are employed with a variety of companies across the globe, so no matter where your interests lie, there’s a good chance you can find sales positions in that niche. For example, if fashion is your forte, consider becoming a clothing sales associate. Enjoy staying on top of technology? You can work as a sales associate for an electronics company! In general, people who work in sales are typically responsible for working directly with customers, informing them about products, and guiding them toward making the right purchase. In some cases, sales associates may also be responsible for upselling customers. The nice thing about working as a sales associate is that you generally don’t need any formal education aside from maybe a high school diploma or a GED in some situations. Of course, higher education (such as an associate or bachelor’s degree) doesn’t hurt. Typically, on-the-job training is where you will learn the majority of your skills. This is where you will learn about the products or services you’ll be selling and how to work with your customers. A sales position is definitely more of a learn-as-you-go position, but the skills you learn in one sales job can follow you wherever you go. What else is there to know about a sales associate job description? Well, the typical sales associate salary can vary greatly depending on whether you’re getting paid by the hour, on a commission basis, or a combination thereof. Generally, you can expect to make around $9.22 per hour working as an associate, though this can vary greatly based on your experience and skill. For instance, if you’re being paid on a commission basis, you earning potential could be much higher. Many employers also offer annual raises to sales associates, allowing you to climb the ladder more quickly than in many other positions. If you’re interested in a job as a sales associate, you might be wondering where you can find sales positions near you. Start by figuring out your niche, and then look for local retailers or employers that may be hiring sales staff. You can also check out job boards and company websites to find and apply for many sales openings. Now that you have a better idea of the sales associate job description and how to go about landing such a position, all that’s left to do is get out there and start submitting some applications! Stay at home mum jobs means not having to give up on your career. Today there are all kinds of great stay at home mum jobs that can be both rewarding and flexible enough to take part in while watching your children. In fact, a study conducted by Intuit estimates that around 40% of America’s workforce will be freelancers by 2020, so why not start working as your own boss now by giving one of these work from home jobs a try? Looking for stay at home mum jobs that don’t require you to leave the house? If so, and if you’re a decent writer, then you might consider a job as a freelance content writer. These days, lots of business and individuals alike are constantly looking for talented writers to complete assignments for them. From writing a business press release to creating a “how-to” article on using a product, freelance writers have no shortage of work.Plus, as you get published, you can build your clout and a portfolio, which will open yourself up to even more lucrative assignments and work-from-home jobs related to writing. Do you know how to code a website? If so, this is a skill that could really come in handy when it comes to making extra money as a stay-at-home mum. Consider creating a profile on a website like eLance.com, which will allow people who need a website created to find you and hire you for the work. If you don’t know how to code a website, consider taking a free online HTML course so you can learn the ropes. If you’re already at home with your kids during the day anyway, you might consider opening up your doors to care for more children by becoming a day care provider. After all, there are lots of parents who don’t have the luxury of staying at home with the children and working stay at home mum jobs, and these people turn to day care providers for the assistance they need. Understand that you may need to invest a little time and money to obtain a day care license in your state, but once you do, this can be a great way to make a little side income while your children interact and make new friends. Have teaching or tutoring experience? Or maybe you just have an academic subject that you’ve always been successful in. Either way, you might want to use these skills to become a neighborhood tutor for children of various ages. Depending on your area and level of expertise, you can make a fair amount of additional income with stay at home mum jobs as a tutor. In fact, you could make a killing by holding “group tutoring sessions,” where you charge each student by the hour.If you’d rather do the work online, you can even check out Tutor.com. If you’re already going to be heading to the grocery store to do some shopping, how would you feel about picking up a few grocery items for somebody else as a means of making additional income? The website TaskRabbit.com is perfect for people who want to make some quick cash by running simple errands for people in their local area. The nice thing about these types of stay at home mum jobs is that, with TaskRabbit, they find all the clients for you and even handle making sure you receive a secure payment. Plus, you can pick up as many or as few jobs as you want. As you can see, there are plenty of work-from-home jobs available that can help you bring in additional income without sacrificing your time with your children. Be sure to give some or all of these great stay at home mum jobs a try and see what works for you. So where can you find other legitimate online jobs for moms where you can work at home? Check out these resources: https://www.rover.com/, http://rewardable.com/, elance.com, http://www.tutor.com/apply, https://www.taskrabbit.com/become-a-tasker . By utilizing these resources you will find some of the best stay at home mum jobs available. Learning how to find employment in a technology-driven world is a valuable skill to possess. Whether you were recently laid off from work or are looking to make a career switch, it can be helpful to learn what employment resources on the Internet can help you if you are looking for work. After all, it can help you learn how to find employment. Before the Internet became a popular resource for people looking for work, help wanted ads were often posted in public/community areas in grocery stores or community centers. Companies or businesses would post “help wanted” ads on a public corkboard, and interested parties would answer those ads. Today, some websites are designed just like that and are very helpful for people who are trying to learn how to find employment. These websites are known as job boards and are great resources for people wanting to learn how to find employment. Job boards will list current job openings, explain the job responsibilities, and allow you to apply directly through the website. It is like an electronic version of the old corkboard and extremely helpful to those who want to learn how to find employment. Social network platforms can be a valuable resource for people who want to know how to find employment. Many companies are starting to post classified ads or links to classified ads on their social media accounts. People looking for work can easily follow the link and apply for the job. One of the easiest things you can do when you are looking for work in a technology-driven world is to follow up on sent resumes and job applications. Try to follow up with an HR rep or supervisor/manager at any company to which you have sent an application or resume, if you are looking for work. Following up with an HR rep or manager is a great way to make a lasting impression with the company and a great tip to incorporate into your job search if you are learning how to find employment. It not only shows that you are motivated and looking for work, but also it allows you to make direct contact with someone at that company. Just remember, if a company specifically states they do not want any phone calls/inquiries about a recent job opening, follow that advice. It is better to follow instructions than to ignore them. So much of today’s economy revolves around the Internet. Using these resources and advice can help you learn how to find employment in a technology-driven world. 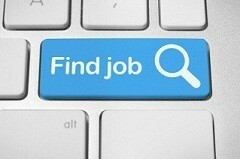 Job hunting online can be a daunting task. The sheer number of jobs posted every day can overwhelm and cause job seekers to lose faith that they will find a job. Luckily, there are a number of job hunting online tips individuals can use that will help them find the job of their dreams.A recent report from The U.S. Bureau of Labor Statistics estimates that there are over 4 million job openings nationwide—many of which are advertised to prospective employees using online forums, employment websites, or social media accounts. Landing one of these jobs takes skill, persistence, and the ability to think outside the box. The following are some job hunting online tips people can incorporate into their search for employment. Incorporating these tips into the search may improve the chances of a job seeker finding employment online. Using websites dedicated to listing jobs may seem like the logical place to start looking when job hunting online, but social media platforms can be just as helpful. Social media platforms, like Facebook, Twitter, and LinkedIn, can help job seekers find job opportunities with companies all across the country. Social media accounts allow job seekers to network or connect with professionals, which can help when job hunting online. When a job opening appears, these professionals can post about it and job seekers can take advantage of the ability to instantly apply for a job. 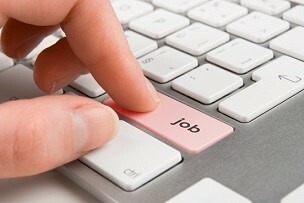 Many individuals who are job hunting online believe that quickly applying to jobs is the key to success. Unfortunately, that can lead to sloppy mistakes that will cause employers to look elsewhere for a future employee. Not spell-checking resumes, cover letters, and emails. Improper grammar usage in emails. Forgetting to tailor cover letters and resumes for specific jobs. Reading over resumes, emails, and cover letters. Rewriting resumes and cover letters to reflect the specific job. Many people who are job hunting online quickly send off their resume and cover letter, and never look back. It is important to follow up with employers when job hunting online. It not only shows professionalism, but it shows that the individual is excited and interested in the job opening. Following up with a prospective employer when job hunting online does not take a lot of time. In fact, a quick email or phone call is all that is needed to follow up after sending a resume / cover letter. Just remember, if an employer specifically states not to follow up with them in their job posting, it is best to follow their instructions. Not following instructions could potentially complicate the process. Using these tips can help job seekers feel confident while job hunting online and potentially help them find employment. More and more human resource departments are relying upon a social media and hiring process when looking for potential employees. Social media outlets, such as LinkedIn, Facebook, and Twitter, are being used to recruit qualified individuals for a variety of positions across a number of industries. Individuals who are in the process of looking for a job should use social media websites to search for job openings at various companies. Applying for a job opening posted on a social media website could just land an individual the job of their dreams. When searching for a job on social media, it is important to understand how social media and hiring go hand-in-hand. 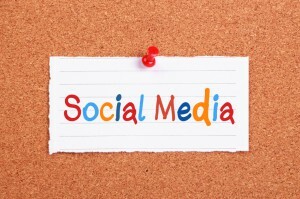 Using social media for hiring is becoming a very common practice of companies seeking qualified job candidates. The following is a look at some of the ways human resource departments have incorporated social media hiring practices and strategies into their day-to-day operations. Many human resource departments use the social media and hiring process to create a network of qualified candidates for a variety of positions. When a position opens up in a company, its human resource department can turn to this network and reach out to individuals for recommendations on potential employees. One of the reasons this social media and hiring process is successful is its ability to target industry-specific individuals with experience or a specific skill set. It guarantees that people who are applying for a position have the qualities and skills needed to succeed. For example, if a company is looking for people to write blogs, they can reach out to a community of writers for recommendations on potential employees. This will guarantee that the people who apply for the position have skills and/or experience with writing. Websites that allow companies and employers to post job openings often require a fee to be paid in advance. 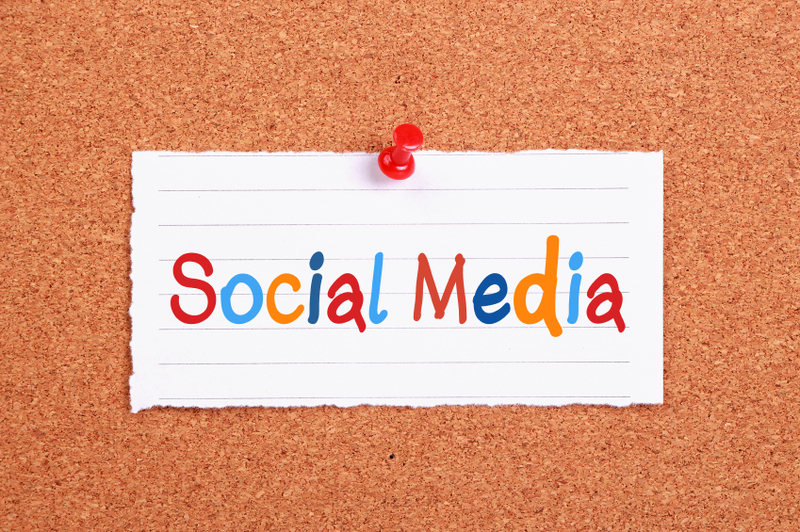 Social media allows employers to advertise new openings at their companies without having to pay a dime. Human resource departments or employers who use this social media and hiring strategy can post links to blog posts or job applications, or tweet about new openings for free. This helps companies save money, while still getting a number of qualified individuals to apply for a specific position that has opened up within the company. Human resource departments are making it extremely easy for job seekers to find openings within their company through social media, but job seekers need to be careful. Social media use can backfire when looking for a job, as employers may use what is posted on a job seeker’s personal social media account to determine the individual’s qualifications, professionalism, and work ethic. The age of combining social media and hiring is upon us. Job seekers who keep these tips in mind may be able to find their dream job just by checking their news feeds on Facebook or recent Twitter feeds. Using multiple job hunting techniques can help individuals find and potentially land a job from the thousands of job openings that are listed daily. Unfortunately many job seekers get so set in their ways that they forget to use multiple job hunting techniques. This can dramatically reduce the number of jobs that are available for job seekers.Individuals who are committed to finding employment need to improve their job hunting skills to include multiple techniques. The following are some suggestions on how to improve the job hunting techniques of those currently looking for a job. All job seekers have a favorite employment or classified website that they use as part of their job hunting techniques. While that website might be useful, it is important to diversify the websites that are used. Diversifying the number of employment websites that are used to find a job is one of the best job hunting techniques people can use. Expanding the job search to multiple websites will improve the chances people have of finding employment, as some companies may post on one website but not another. Using these job search techniques will help you to diversity the sites, job postings and contacts you use and make during your job search. Searching the employment section on a company’s website is another great addition to a job seeker’s usable job hunting techniques. Many companies decide not to post job openings on social media websites or through the classifieds, and instead post them to their website. Job seekers can improve their chances of finding employment by incorporating these website sections into their job hunting techniques. Even if a specific job posting in these website sections does not match the qualifications and skills of a particular job seeker, it still may prove to be helpful. The fact that a employer is posting job openings at all means that they are hiring. Job seekers may wish to reach out to the HR department or the company’s owner to see if there may be a potential opening yet to be advertised. These tips for job hunting can prove to be effective job search strategies and help you get your resume out there and make valuable contacts during your job search. Social media platforms provide a great place to play games and connect with friends and family, but they can also be used as part of an individual’s multiple job hunting techniques. Social media is a great addition to job hunting techniques because of the abundance of networking opportunities that may help in landing a job. Individuals who are using social media as part of their job hunting techniques need to remember to keep their online presence professional. After all, this is the image that will be portrayed to others who could network or provide recommendations to people who are hiring. Use and post only professional photos. Keep posts and status updates professional. Word comments and replies to others carefully. Jobs do not usually just appear out of nowhere. 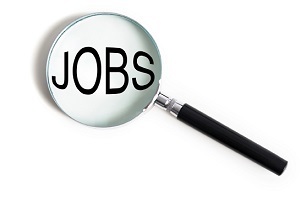 Job seekers must work to find job openings. Using multiple job hunting techniques, individuals will expand their horizons and find multiple employers that are looking for employees. The secret to seeing job search success lies in the process that is used. People who are dedicated and committed to the job search process will often find employment faster than those who are unorganized or unmotivated.If you wish to have job search success then consider implementing adding some or all of these tips and tricks into the process you use to look for employment. It might seem quick and easy to create a generic resume and cover letter that you send out to every prospective employer, but that will not help you see job search success. Employers want to see your personality and skills shine through, which can only be done with a specialized resume and cover letter. When applying for jobs, take the time to create a tailor-made resume and cover letter. This is your opportunity to show the prospective employer what you can bring to the company in terms of skills and experience. So take a few moments to customize the application process and you just may see job search success. Following up with employers after an interview or when sending an email. Connecting with the company’s official social media accounts. Researching the company and using that information in the cover letter. Many job seekers treat searching for a job as something that can be done in their spare time. This attitude leads to potential mistakes being made while applying for jobs, missed opportunities, and procrastination, all of which will prevent you from seeing job search success. Networking on social media websites. Creating new resumes and cover letters for each job. It may seem like a lot of time to dedicate to looking for a job, but it can really pay off. People who are committed to finding a job and treat the search like a full-time job will see job search success. Many job postings come with a list of instructions that the potential employer wants applicants to follow. If you wish to see job search success, you must make sure you follow all instructions. Read over all instructions first. Create emails, resumes, and cover letters to meet specifications. Re-read the instructions and check that the application matches the requested instructions. 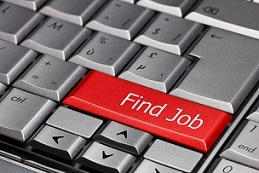 Finding a job is not easy, but there are many out there that see job search success. Try incorporating these tips and you may see job search success. Job seekers – whether they are recent students fresh out of college or seasoned workers who have found themselves recently unemployed – find themselves looking for tips and tricks on how to find a job.Discovering and implementing some of the following tips on getting a job can help job seekers find, apply for, and potentially land any job – maybe even their dream job. 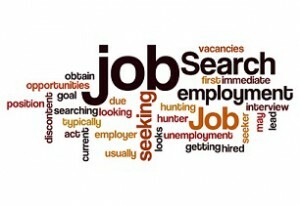 The following is some advice job seekers can use when looking for ways to find a job. Every month approximately 3.95 million job openings are posted across the United States, according to the United States Department of Labor’s Bureau of Labor Statistics. Unfortunately, job seekers that rely upon one resource to search for job listings will only see a small percentage of those jobs that are listed. Job seekers need to diversify the number and type of resources they use to find posts for available job openings. Job seekers limit themselves when they only rely upon one resource, such as Craigslist or an employment website. Networking is no longer just about building connections while at work, networking can help job seekers who are looking for ways to find a job. Networking allows individuals to create connections across a wide range of industries. When an individual loses their job or is looking to make a career switch, those connections can prove to be very helpful. One of the most helpful tips on getting a job for current job seekers is to network both in person and online. Many job seekers will create a profile on a popular network website and believe that is enough to find a job, but it is not. It is important to create as many connections with individuals as possible and networking – both in person and online – will help to create those networks. Taking this advice on how to find a job and implementing it into the day-to-day job search can help job seekers expand their horizons and hopefully land a job quickly.